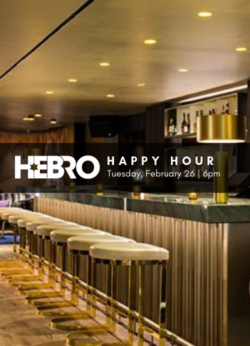 Join Hebros from all over NYC at this stunning lounge in Hell’s Kitchen for a seasonal Happy Hour! 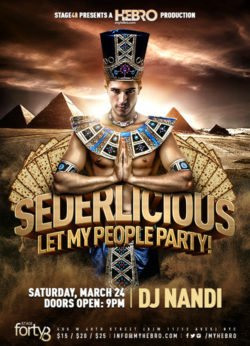 Due to space capacity, only 150 tickets will be sold to this popular event! 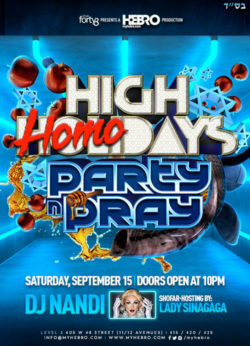 Party with over 500 stars of david as Hebro brings back its annual High Holiday party celebrating some new Jew year we can’t recall. 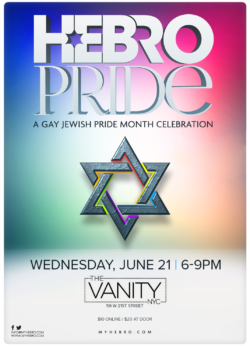 a gay Jewish comedy w/a post-show happy hour! After two sold-out performances, Hebro brings you comedian Duvi Stahler to the Duplex with his hilarious comedy, “You’re Not My Type.” Buy tickets here. Perpetually unlucky in love and sabotaged by his own quirky obsessions, Duvi finds himself at the office of New York City’s most prominent matchmaker. But even promising steps in the right direction may not be enough to convince him he’s bound for happiness. 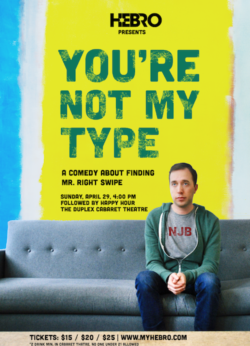 ‘You’re Not My Type’ is a heartfelt and hilarious exploration of relationships, insecurities, and what it truly means when someone tells you you’re not their type. $25 tickets sold at the door. 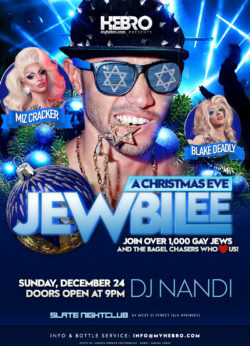 Now in it’s 11th year, A Christmas Eve Jewbilee brings together over 1,000+ gay Jews from around the world (& the goytoys who ❤️ us) to celebrate Christmas Eve in a whole new way! This year, we’re taking over the all-new renovated 10,000 square foot Club Slate in Chelsea with a Funktion-One soundsystem like you never heard before. 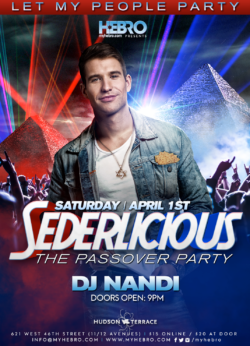 DJ Nandi spins the top American & Israeli pop tunes throughout this santa-less night. We’re flaming it up this year at Hebro’s first ever Shabbat dinner mash-up… SHABANUKKAH! Join this very-deli Friday night buffet dinner on the 4th night of Hanukkah with gay Jews from around NYC at Ben’s Jewish Deli! Community dinner for singles and couples! This will be a meat dinner with fish, vegetarian options. 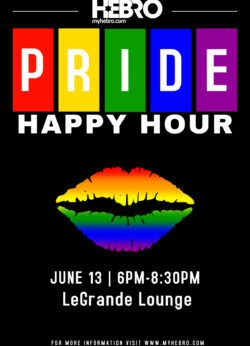 Celebrate New York City Pride with Hebro at this stunning lounge in Chelsea! Only 200 tickets will be sold to this popular event as we kickoff Pride! 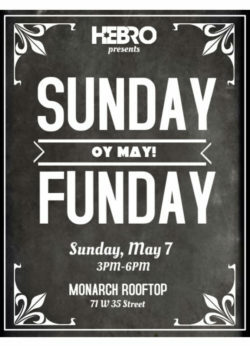 Drink atop the Monarch Rooftop with spectacular views of NYC and chat with over 200 gay Jews at this special Sunday Spring day party! In this one-off interactive Saturday night Hebro experience, you’ll hop aboard a luxury motorcoach with a complimentary bar, stadium-style seating, high-quality audio and 40 video screens. Blurring the boundaries between what’s really happening and what’s part of the show, Tina Burner, our hilarious drag host, will guide us through wild performances right on the streets of New York! 12:30am: Drop-off at Therapy where we’ll continue to party!